Maryknoll missioners often explain that their work in mission is rewarded many times over with the hospitality, warmth, love and prayers that they receive from the people they serve. One example of this resulted in a gift of a lifetime. 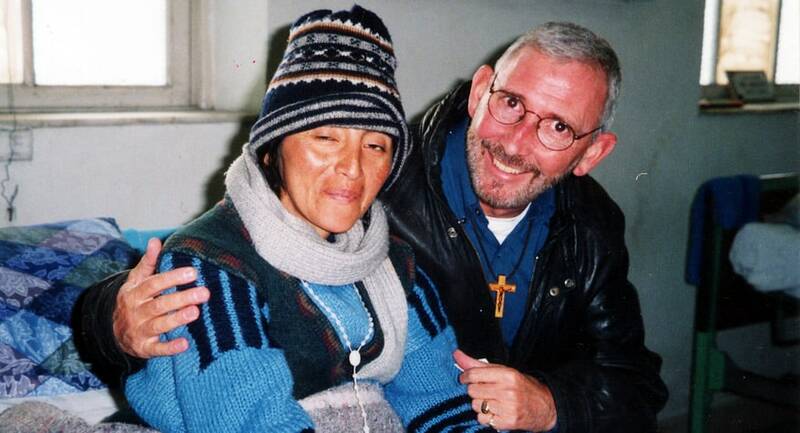 Maryknoll Father Joseph Fedora operates a shelter for people with AIDS in Peru. That is where he met Rosa Luz. Rosa had grown up in poverty before she had to face one last struggle. She had lost her eyesight from a viral infection that is common for people with AIDS. She was in the hospital for months and Father Joseph visited her often until the day she was called to God. What Father Joseph received from Rosa that day was the gift of a lifetime. It was God’s presence in a woman who never stopped believing. “I think she gave me more than I gave her,” said Father Joseph, who accompanied her as she made her journey home. Rosa’s story also is the story of Maryknoll, of sharing the Gospel with the sick and the poor, and receiving in return lessons in love. Even with all the suffering that occurs daily throughout Latin America, Catholics from various countries find a time and place to share their faith in God. Enjoy this video from Maryknoll’s centennial year that shares the experiences of the people from Peru, along with those from Brazil, Bolivia, Mexico, Panama and other countries, as they celebrate their faith. As you watch, remember the gift that Rosa gave to Father Joseph and to Maryknoll. View our centennial video on our website and on YouTube.